This man watching other EC 2/4 aircraft having to take-off for night flight sorties is the 'La Fayette' Squadron Leader, Commandant Rougevin-Baville. After having gained full flying unit experience, he entered later the War School and EPNER ( Flight Test and Reception Flying School ) to also qualify as military test pilot. So, around 1976 he flew the McDonnel Douglas F-15 at Edward AFB for a short evaluation of the type, an aircraft having received a French roundel from McDD to publicise the event. 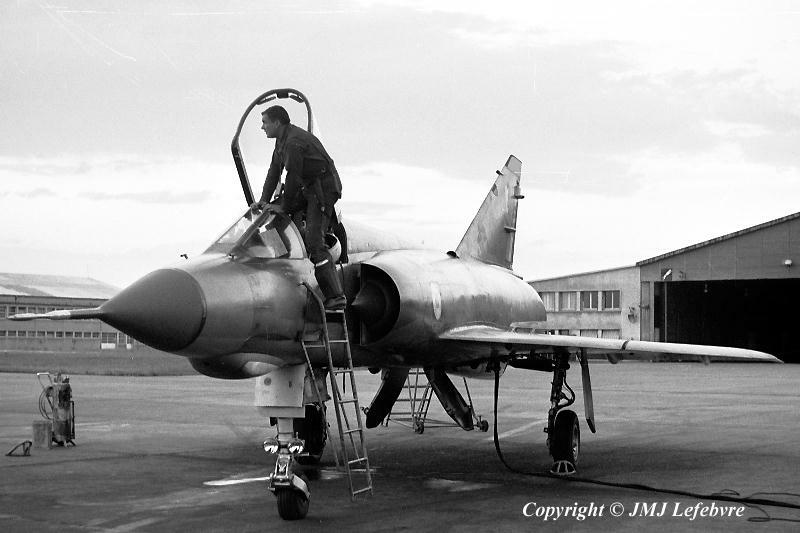 Colonel Rougevin probably was the sole AdlA pilot having flown the US type, except if later existed exchanges of fighter pilots between Mirage and F-15 squadrons.